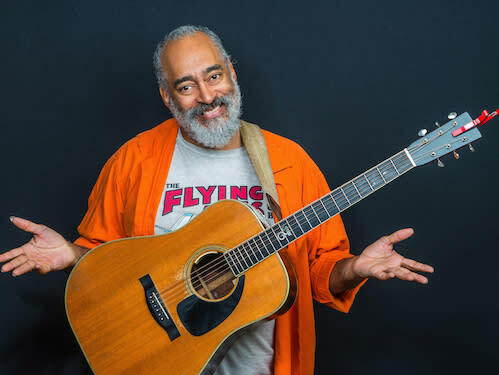 Come on out to the Earlville Opera House on Friday, May 17th at 7pm to surround yourself with the folk singer/songwriter vibes of Vance Gilbert! Tickets are $20 for general admission, $18 for members, $10 for youth 17 and under, and college students are always half off general admission. Call us at (315)-691-3550, or check out www.earlvilleoperahouse.com to reserve your seats today! Vance Gilbert burst onto the singer/songwriter scene in the early 90's when buzz started spreading in the folk clubs of Boston about an ex-multicultural arts teacher who was knocking 'em dead at open mics. 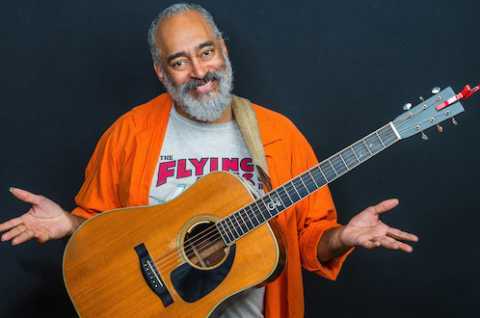 Born and raised in the Philadelphia area, Vance started out hoping to be a jazz singer, and then discovered his affinity for the storytelling sensibilities of acoustic folk music. Once word got out about Gilbert's stage-owning singing and playing, Shawn Colvin invited him to be special guest on her Fat City Tour. Noted not only for being the ever consummate performer, Gilbert has recorded 12 albums, including 4 for Philo/Rounder Records and a duo album with friend Ellis Paul. Along with being opener of choice for artists as varied as Aretha Franklin, Arlo Guthrie, and Anita Baker, 2006 and 2007 found Gilbert opening 140+ shows for comedian George Carlin. Most recently he’s the opener of choice for Paul Reiser and The Subdudes who were on the EOH stage last November. Special thanks to our hospitality sponsors Fred’s Inn of Norwich, NY and the Poolville Country Store and B&B, Poolville, NY. NEW: Make it an evening out and receive 20% off dinner at Poolville Country Store by presenting your EOH show ticket, or receive 10% off your show ticket by presenting your Poolville dinner receipt at the Box Office! Call the Poolville Country Store at 315-691-2677 for dinner reservations! Show your ticket at the Huff Brau and receive the happy hour drink rate on your first drink after the show! The Earlville Opera House is located at 18 East Main Street in the quaint Village of Earlville, NY 13332. Tickets can be purchased online at www.earlvilleoperahouse.com, or by calling (315) 691-3550. EOH events are made possible, in part, with public funds from the New York State Council on the Arts with the support of Governor Andrew Cuomo and the New York State Legislature, and through the generosity of EOH members.